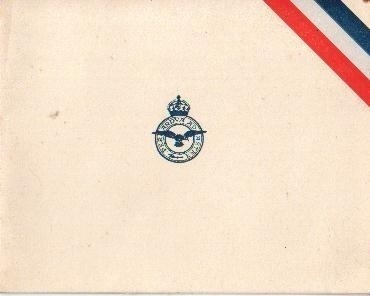 D057. 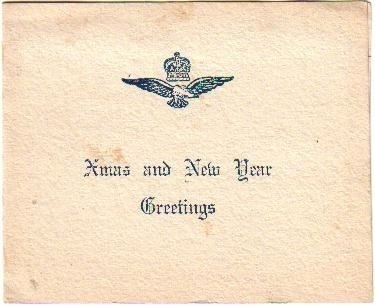 A Christmas card dated 1942 from Alf “With the RAAF Somewhere in Australia” to Gus. D088. 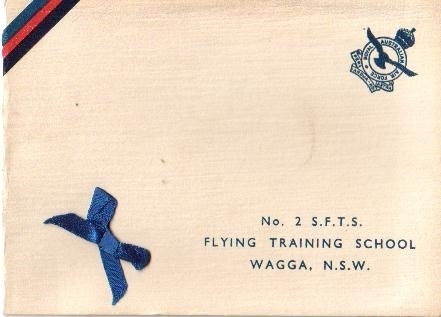 A Christmas card dated 1941 from Jean & Alf at No 2 Service Flying Training School at Wagga with a print of a Wirraway aircraft to Alice, Mrs Pearse and children. 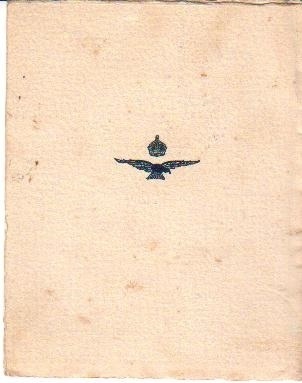 D100. 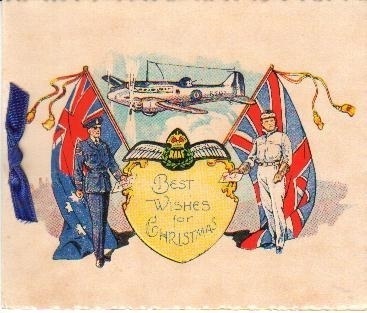 A WW2 Christmas card from RAAF Pearce with a print of an Anson aircraft inside with a note to Aunty & Sylvia from Malcolm. D109. 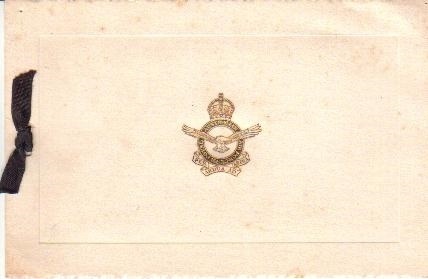 An unused Christmas card dated 1946 – 1947 from the Officers Mess RAAF Canberra. D110. 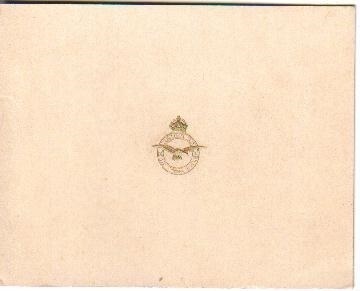 An unused WW2 Christmas card with a print of a Beaufighter aircraft inside from the Officers Mess RAAF Station Laverton. D133. 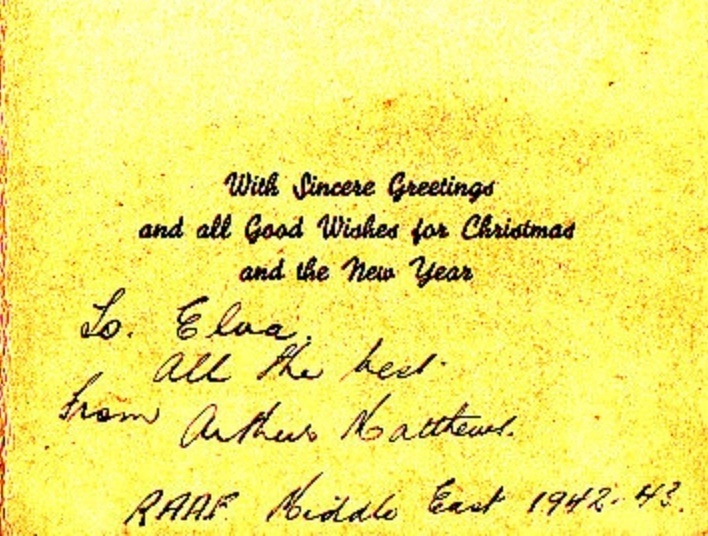 A gold embossed Christmas card dated 1942 – 1943 to Elva from Arthur Matthews in the Middle East, there were 4 Arthur Matthews in the RAAF during WW2. D170. 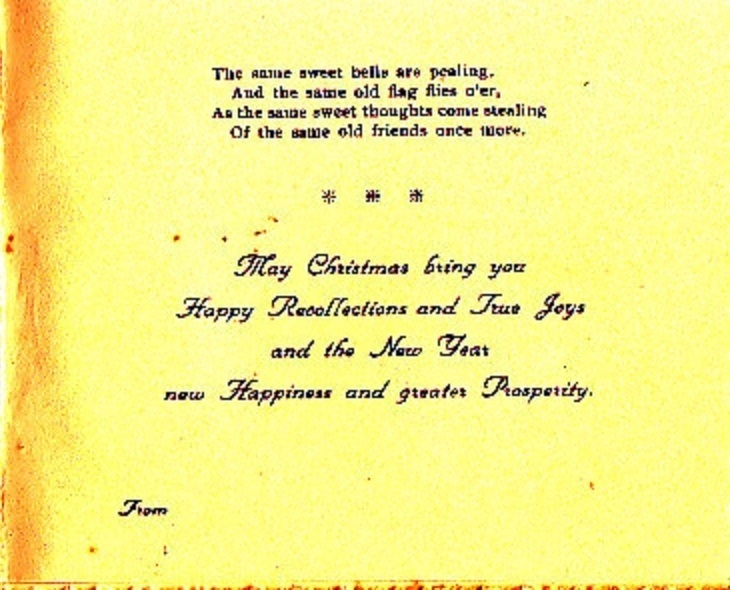 A nice patriotic WW2 Christmas card with a verse and greeting inside. D177. 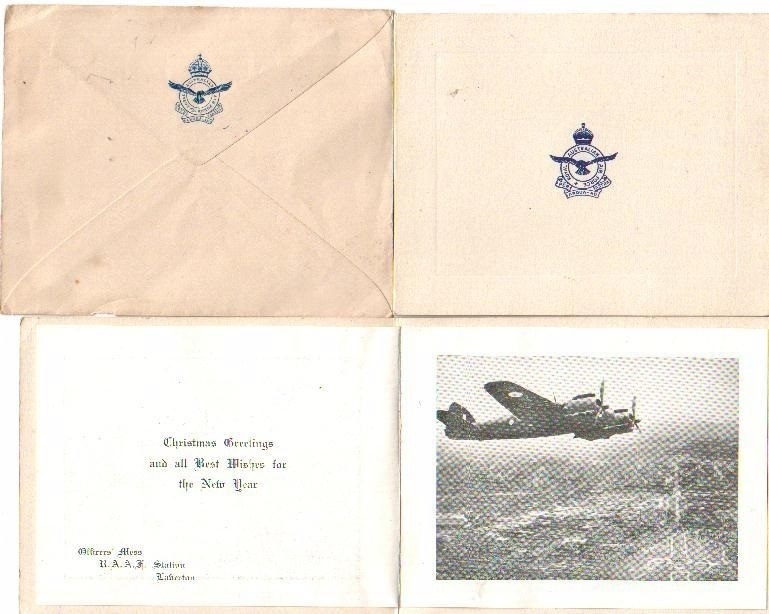 A gold embossed Christmas card with a photo of an Avro Lincoln bomber inside from Officers Mess RAAF Garbutt from Norman, Keith, Bryan & Ian. 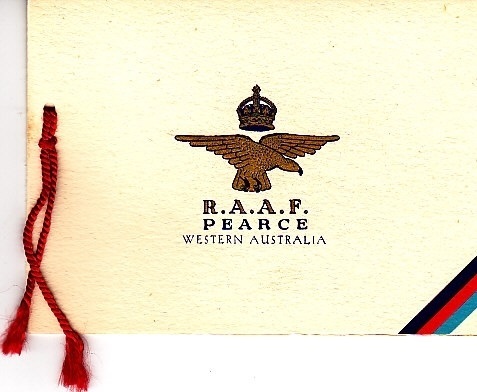 RAAF Garbutt is now RAAF Townsville. D180. 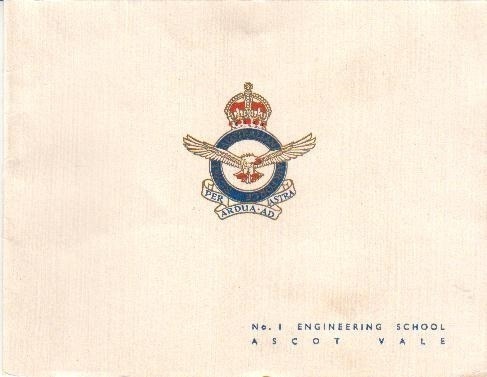 A large WW2 Christmas card from No 1 Engineering School Ascot Vale Victoria with a scene of aircraft maintenance inside, to the Webb family from Ron. D193. 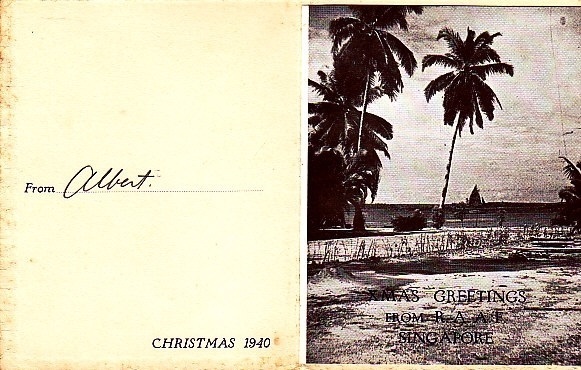 A WW2 Christmas card from Singapore dated 1940, from Albert. I wonder if he made it home? D195. 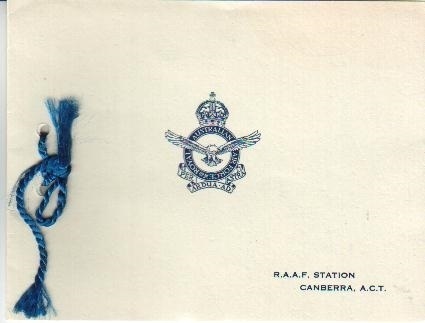 A WW2 Christmas card from RAAF Station Canberra with a print of a Hudson bomber A-16-1 inside plus a greeting from Keith Warren.